From a beautifully conceived film-poem and an imaginative exploration of the Lower Lea Valley to an uplifting documentary on a London landmark, the collaborations between electronic indie trio Saint Etienne and filmmaker Paul Kelly (Lawrence of Belgravia) document London’s ever-changing environment and landscapes with music by the band. 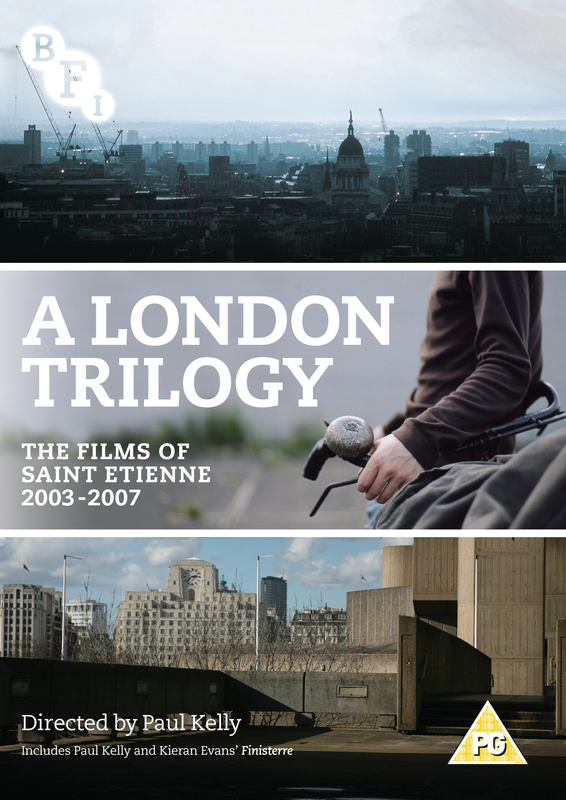 Finisterre (2003), directed by Paul Kelly and Kieran Evans is a homage to London featuring a host of well-known voices including Mark Perry, Julian Opie, Lawrence and Vic Godard who’ve made the capital their own, soundtracked by songs from the Saint Etienne album of the same name. Paul Kelly’s What Have You Done Today Mervyn Day? (2005) follows paperboy Mervyn Day on his round, tracing the fascinating hidden history of East London’s Lower Lea Valley in the years before it was redeveloped to become the Olympic Park. Guest voices include David Essex and Linda Robson. Commissioned by the Royal Festival Hall to mark its renovation and reopening, This is Tomorrow (2007) by Paul Kelly lovingly records the immense labour and attention to detail that went into the refurbishment of one of London’s most distinguished concert venues. It features interviews with the Hall’s designers, past and present as well as Jeremy Deller and Alain de Botton. Seven Summers (2012, 10 mins): Sarah Cracknell narrates this follow up to Mervyn Day, which revisits the Lea Valley seven years on from the making of that film.